You love Instagram. It’s one of your favorite social networks and the most striking one. The last thing you’ll need to feel even more at ease is to automatically program your content. Instagram’s API restricts the use of other external tools to schedule or automate your posts so they appear directly on Instagram. Otherwise it would be way too easy! 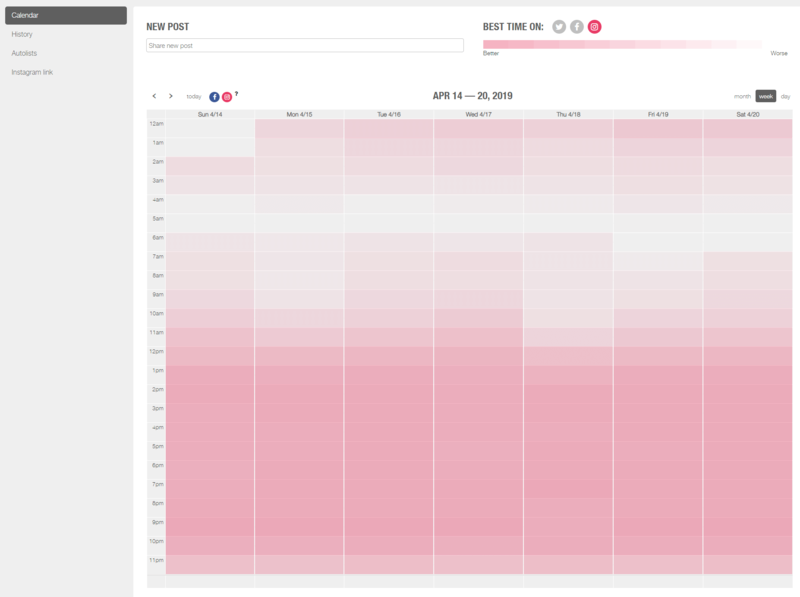 Metricool shows you its Instagram scheduling tool! You’ve probably tried different ways to publish photos on Instagram from your PC. Now, you will be able to do this and also schedule your content automatically with our Instagram scheduler. Today is your lucky day. Metricool has developed an Instagram planner to make your life easier. There is no better tool that offers analytics, the best time to publish and the possibility of scheduling your content in the same place, a 3x1 tool that also generates automatic reports just for you! The process is as easy as scheduling on Twitter, LinkedIn or Facebook. From the planning tool, you will find the option to click on Instagram. To know when is the best time to publish on Instagram, remember to activate the button “Best time on” situated on the right of the Planning page and keep the Instagram button activated. ✅ Upload Videos. The format must be MP4. Upload it with the planning tool the same way you’d do it with an image or photo. ✅ 4 images to create a carousel effect. If you want to get the carousel effect you must upload 4 photos. With these 3 simple steps, you will be able to program weekly, by-weekly, monthly or even annually. Your followers will determine when is the best time to publish. Through the planning tool, you will discover when the majority of your audience is active so you can expand your reach. Click on Instagram on “better times on” and follow the data and activity of your followers. You’ll find those magic moments when it is best to publish and share your photos or videos. Knowing the best times to publish will also serve as a guide to publish your Instagram Stories. Although you can’t schedule your stories, you’ll know when is the most appropriate time to share them. Trick: Publish them slightly before the considered best times. To avoid losing steam with your publications at times that your audience is accustomed to, use the help of your calendar. You will be able to create your own autolists to make the task of sharing your publications on Instagram easier. You can find all the information about creating your own autolists here. Via Twitter: We will send you a direct message to the twitter account of your choosing with your programmed publication for Instagram. Via email: Choose the email account where you want to receive the message and we’ll send you an email. Upload the photo on your image gallery. Also copy the text that you prepared beforehand. Open Instagram and share it! Schedule Instagram posts with Metricool. Learn about the best times to publish and measure everything that’s happening on your profile. It’s crucial to take care of your followers on Instagram or in any other social network. You should schedule your publications automatically to keep the pace of your posts and maintain active engagement. Happy followers, good results. Haste makes waste and working with a plan will avoid mistakes. When you schedule posts on Instagram you can take your time to review and even recheck with someone else. Besides, you’ll see all the publications of your strategic plan in the same place so it’s easier to find errors, facilitating your work. In addition, you can obtain a report with all the information about the outcomes of your strategy on Instagram, for you or your clients. You’ll be more productive and save time when you program your publications. Time is money. Earn time when you schedule for Instagram. 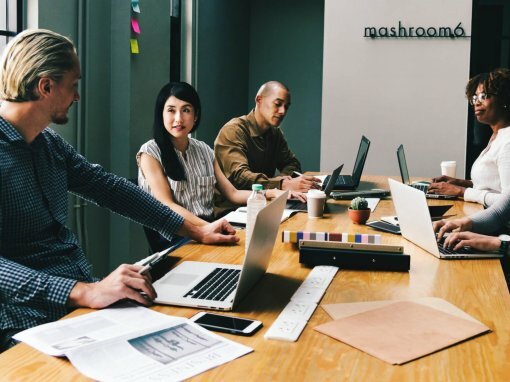 There are some tasks that require more attention: Planning your social strategy, taking photos, analyzing your competitors, meeting with clients, answering comments, etc. Get extra time to spend on these tasks or use it to pamper yourself! 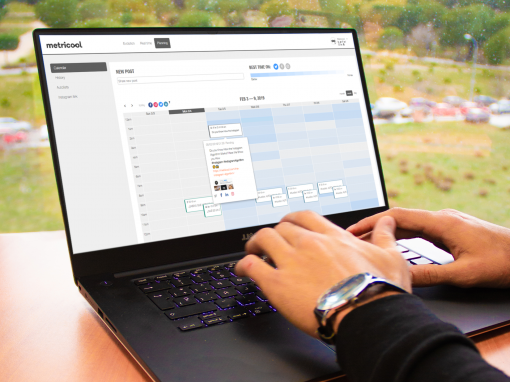 If you’re a community manager, social media or agency, this new tool to schedule automatically on Instagram will be very helpful. 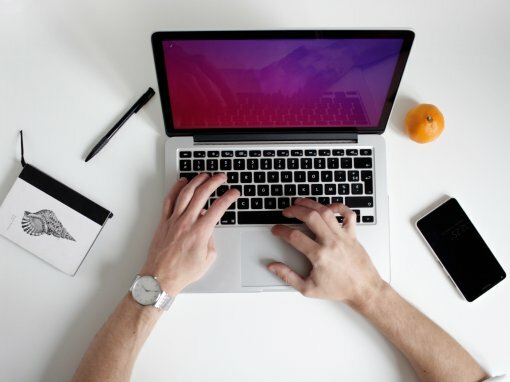 Start programming your publications on Instagram and you’ll see how you save time and get good results. We hope you enjoy this new tool and get the most out of it! Send us comments, we’ll get back to you!